In several past articles, we’ve focused on the need for flexibility in the car rental industry. This counts for both business practices and for the software you use. This improves handling changing car rental processes and channels for rental scenarios. Flexibility goes hand-in-hand with accurate oversight and insight that is real-time and able to draw from multi-channel and multi-device data. That’s a glimpse—what we’d like to briefly describe is how DynaRent offers graphical dashboards and process automation that lets you cover all bases, both holistic and granular, for managing car rental processes and utilization. Image 1: Use DynaRent's Graphical Availability overview to easily create rentals in just seconds! What’s your parameter or dependency that you want to filter for? For both high-level views and granular drilldown, DynaRent can be configured to give you the exact information you need to assess your fleet “bandwidth” and how best to work with vehicle availability. Using these overviews and drilldowns, you can manage existing rentals, your fleet, and the flow of incoming rentals. You’ll be able to assess availability and quickly pinpoint a rental car for a customer that meets specific requirements for car type, additional features, and/or desired rental period). Identifying, quoting, and booking a car is quick and accurate, thanks to auto-quote creation and single-data-source information. That new rental then goes into the database of existing rental periods for automated monitoring. Essentially, you have “eyes in the sky” for all your vehicles and can care for them as well as for your customers with speed and ease. 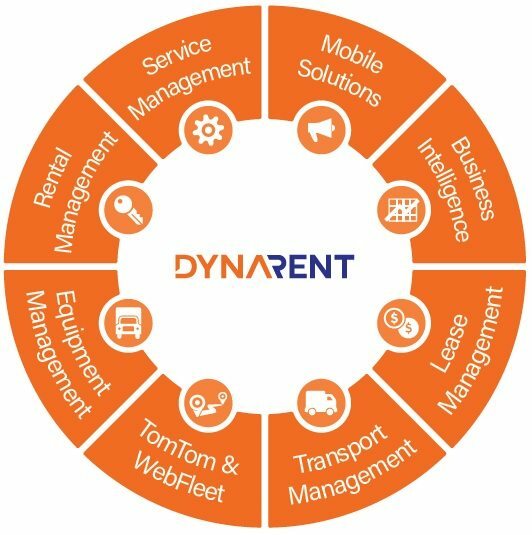 Another crucial feature DynaRent offers car rental companies is a graphical over for supply and demand in your rental fleet, over time. Along with on the spot rental agility, you’ll have foresight into surpluses and shortages per specific locations. That’s critical to overall business health and a prosperous flow of rentals, because you can take timely action to replenish and re-allocate your fleet so that supply is in tune with demand. This “management by exception” capability is a strong gain when trends force you to spend a good deal of effort in “real-time” customer demand—it gives you that .buffer for the future that ensures you can extend today’s grasp of requirements into a longer-term compelling value proposition.